Girlguiding UK is the largest voluntary youth organisation for girls and young women in the UK, with over 600,000 members! Girlguiding UK is led by 100,000 trained volunteers who give their time freely to enable girls to benefit from Girlguiding. Each week they work with hundred of thousands of girls and young women aged from 5  25. 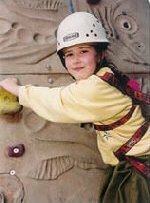 Over 50% of women in the UK have been involved with Girlguiding at some point in their lives. Girls get involved in all kinds of fun and rewarding activities, make lasting friends and learn positive values for life. If you are aged from 5 to 65 why not join us, and find out about the fun of Girlguiding. Getting involved in guiding couldn't be easier. The Trefoil Guild 18 - 108 years! The Friends of Guiding - for any age, both male or female! Faversham Division covers Boughton under Blean, Newnham, Selling, Sheldwich, Doddington, Graveney, Dunkirk, Ospringe and Oare areas. We run 3 Rainbow units, 7 Brownie, 1 Guide and 1 Senior Section unit in Faversham, we also have a Trefoil Guild and a Friends of Guiding group. New Leaders are always wanted, both as Guiders or Unit Helpers and training will be given.